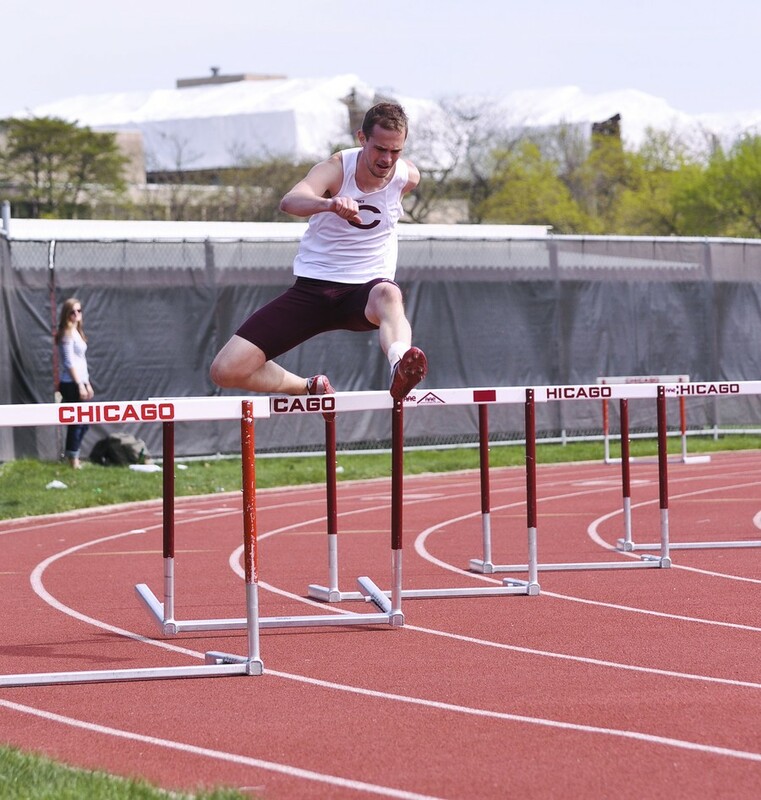 The Maroons won two out of their three dual matchups at DePaul, coming out on top against Chicago State (266–132) and UIC (243–175), but falling to DePaul (206–199). Chicago took a relaxing final step toward this weekend’s conference championship at the DePaul Invite last Friday and Saturday. On paper, this was one of the Maroons’ toughest meets of the season. They were facing off against three DI schools, all of which have beaten Chicago this season already, in a dual format that gives athletes nowhere to hide. In reality, however, this was probably the most relaxed meet the Maroons have competed in all season, with all four teams looking ahead to their respective conference championships. Chicago had only two event wins on the day. Heck finished first in the hammer throw with a distance of 49.75m and third-year Connor Ryan (42.85m) finished ahead of first-year Leon Wang (36.67m) for a Maroon one-two in the javelin. Rounding off a strong day for Chicago’s throwers, third-year Brandon Meckelberg came third in the hammer with a lifetime best effort of 45.58m and threw a season’s best in the discus (41.55m) to finish fourth. Third-year Dee Brizzolara continued his return to form with a second-place finish in the 200-meter (22.74s). Second-year Theo Benjamin also returned from injury to finish fifth in the 200-meter (23.48s) and fourth in the 100-meter (11.61). That will come as positive news for head coach Chris Hall, who had to endure a slow and injury-ridden start to his sprinters’ season. With the sprinters getting back up to speed and the throwers hitting their form, it was a relatively quiet day for Chicago’s distance runners, who have probably been the stars of the season so far. But it was always meant to be that way. With most of those athletes competing in longer distance events next weekend, Hall ran the majority of them (15 in total) in the 1500-meter at DePaul in order to leave them best prepared for conference. That should tell you all you need to know about the Maroons’ approach last Friday and Saturday. Chicago will now turn its attention to conference. There will be nothing else to look forward to at next week’s UAA championship if the Maroons don’t perform. But, for the next few days at least, they can be happy with their final step. “I think this was a great meet before conference. Outdoor season goes by really fast, and it’s hard to get into the swing of things before conference,” Benjamin said. “A lot of our team members are beginning to reach their peak and going into conference that is naturally a great place to be.